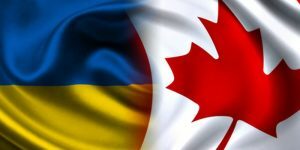 The Ukrainian Canadian Congress (UCC) is embarking on a policy development strategy in the coming months leading up to the Canadian federal elections and 26th Triennial Congress in November 2019. Please stay tuned! To download UCC’s Budget Assessment click here. Budget 2019 proposes to “support more festivals, large-scale and community-based celebrations and commemoration initiatives”: specifically, it proposes to provide $24 million over two years, starting in 2019-20, to the Building Communities Through Arts and Heritage Program and the Celebration and Commemoration Program. UCC welcomes federal government support for arts and culture. We will work to ensure that the Ukrainian Canadian community has access to these tools and resources to promote Ukrainian culture, traditions and heritage across Canada. In addition, UCC will work closely with our provincial councils, local branches and member organizations as well as the Government of Canada to establish the Ukrainian Canadian Heritage Month. In a re-announcement of 2018 Fall Economic Statement measures, Budget 2019 highlights three tax measures to support Canadian journalism: a new refundable tax credit for journalism organizations; a new non-refundable tax credit for subscriptions to Canadian digital news; and access to charitable tax incentives for non-for-profit journalism. The Government of Canada will further establish an administrative body to ensure the independence of eligible organizations. The UCC supports the federal government’s proposed measures to support a strong and independent news media. 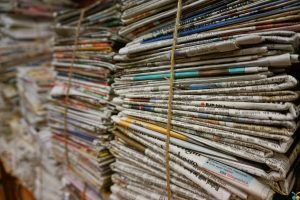 In the age of disinformation, we believe that these measures can help provide essential support for ethno-cultural community journalism, which has stood as a critical institution to the Ukrainian community in Canada for over 100 years. The UCC will work to ensure that the perspectives and requirements of local Ukrainian Canadian media are well-represented and that our media have access to all proposed supports. The UCC supports additional funding and resources to support the needs of temporary residents (visitors, students and workers) as they make significant contributions to the Canadian economy, including filling short-term labour gaps in many Canadian industries. The UCC will continue to advocate the establishment of a visa-free regime for Ukrainian citizens travelling to Canada. The UCC supports the Government of Canada proposal to ensure that newcomers and other applicants have access to quality and timely advice and services. We will work to ensure that these supports are available to temporary residents from Ukraine as well as new Ukrainian Canadians. The UCC will continue to support ethno-cultural community-based settlement services for newcomers, which provide the best opportunities for successful integration. 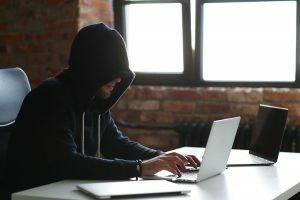 Budget 2019 proposes “to strengthen the cyber security of Canada’s critical infrastructure with $144.9 million over five years, starting in 2019-20, including $22.9 million from within existing Communications Security Establishment resources.” Budget 2019 further proposes “measures to further strengthen and safeguard Canada’s democratic institutions,” specifically $30.2 million over five years in order to provide cyber security advice to Canadian political parties and election administrators, to strengthen cooperation and information sharing in response to foreign threats, and to strengthen Canadians’ resilience to online disinformation. As the Government of Canada introduces a new cyber systems framework, the UCC will continue to advocate for a strong response to cyber attacks from Russia on our democracy and public institutions. The number and complexity of these attacks are likely to grow as the 2019 General Election draws nearer. The UCC will continue to work with both Ukrainian and Canadian institutions, along with think tanks and other organizations working to fight disinformation and to identify and expose fake news and propaganda. Budget 2019 “confirms the Government’s plan to invest up to $105.6 million over three years, starting in 2019-20, to renew Operation UNIFIER,” including $99.6 million over three years in incremental funding for Canada’s military contribution, and up to $6 million for broader defence and security reforms in Ukraine from existing International Assistance Envelope resources. 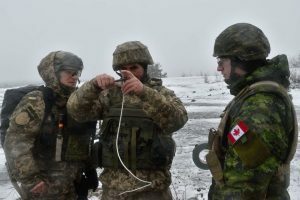 The UCC welcomes the Government of Canada’s plan to extend the military training mission to Ukraine through March 2022. The UCC will advocate that Canada play a key role in establishing a UN peacekeeping mission that would be deployed to the Ukraine-Russia border and to the territories of Donetsk and Luhansk oblasts currently occupied by Russia. The UCC advocates for an increase in funding to Ukraine proportionate to the overall increase in the International Assistance Envelope announced in Budget 2019. Ukraine currently receives $50 million per year. The UCC welcomes the July 2018 commitment made by the Minister of International Development that the Government of Canada will maintain this current level of funding for Ukraine. Budget 2019 proposes to enhance the Guaranteed Income Supplement (GIS) earnings exemption beginning in 2020-21, add additional funding of $100 million over five years to the New Horizons for Seniors Program to improve quality of life for vulnerable seniors, and to introduce new measures to enhance the security of workplace pensions. 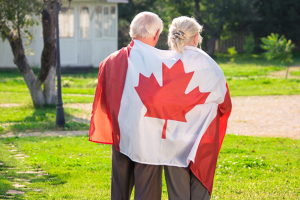 The Ukrainian Canadian Congress (UCC) will work to ensure that the perspectives of organizations working with Ukrainian Canadian seniors are represented and that these organizations are able to access the funding included in Budget 2019. The UCC will continue to work with our member organizations along with federal, provincial and territorial governments to ensure that senior members of our community have access to safe, affordable care, income support programs, pension protections, and community programs and organizations that help maintain quality of life through retirement age. Budget 2019 proposes a number of measures to make college and university education more affordable and accessible. 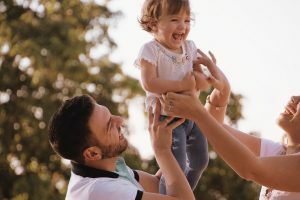 Key changes include lowering interest rates under the Canada Student Loans and Canada Apprentice Loans programs, and amending the Canada Student Financial Assistance Act to create a new six-month non-repayment period. The UCC supports federal government proposals to make post-secondary education more affordable. The UCC will continue to work, along with the Ukrainian Canadian Students’ Union (SUSK) Congress and other youth-based member organizations, to ensure that the federal government takes into account the needs of youth in ethno-cultural communities and organizations, as well as the needs of vulnerable youth, including newcomers to Canada. 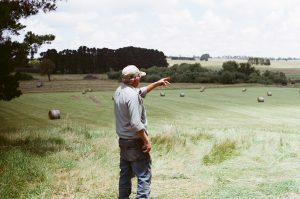 The UCC supports government outreach that may lead to support for family farming businesses in their succession planning through the tax system. Family farms have played a strong role in developing Ukrainian identity and Ukrainian Canadians’ contributions to the economy since the time of the first settlements, and continue to play an integral part of Ukrainian Canadian heritage.